I must have Netflixed 1,000 times. Here in DC we have two feet of snow and while it's awesome, it's also cold. 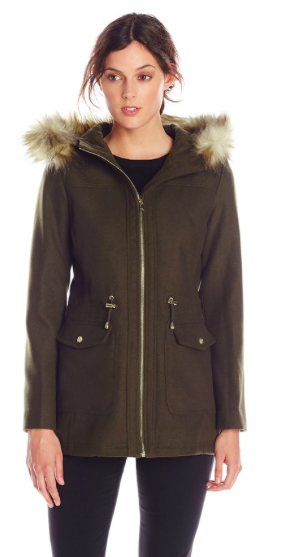 So today I thought we would warm things up with some faux fur/shearling outerwear that puts my utility puffer coat to shame. The look of true shearling but without the price. I really love the soft leather and asymmetrical zipper. 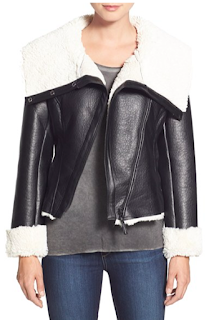 Originally $220, this jacket is a steal! Heavy wool but you can define a great waistline with the drawstrings. Look at this slimming quilting seam along the torso. A beautiful winter white. 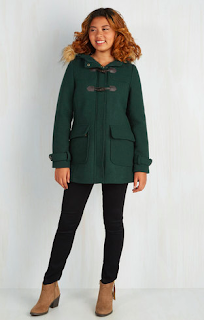 Who doesn't love a great toggle coat? This one has lovely details with patch pockets and a full zipper. So stay warm and stylish this week with whatever you have. This snow isn't melting any time soon so why not stand out with your outerwear?